When I was a little girl I read the book ”White Fang” again and again and dreamed of life in the North between the wolves and snow. I have always wanted to have my own dog. My own Siberian husky. When I watched them I got that feeling that this is who I am and this is my destiny. Probably in one of my life I was a Native Indian girl, running with the wolves. 🙂 My wish was getting biger and bigger…When I was in 1st grade of High school I notice an advertisment for Siberian puppies. I mentioned at home to buy another dog, but my parents didn’t wanted to hear nothing about it. 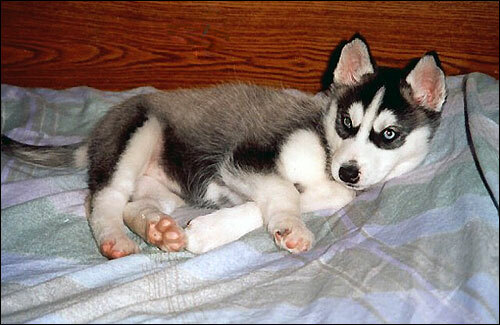 And I started to send e-mails to my father with pictures of husky puppies and begging him if I can have my own dog. One day I came home from school, my parents weren’t at home. My sister told me that they went shopping. Yeah, they sure did. When they came home in the evening they brought me a huge brown box. And inside there was a little black-white puppy. 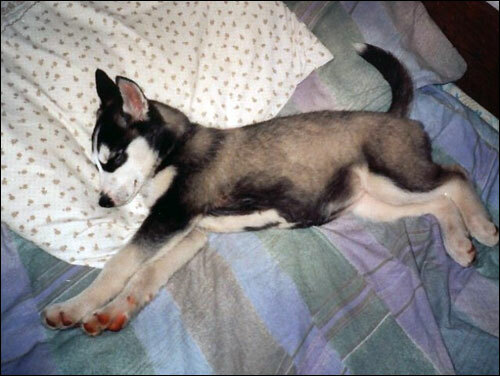 A little Husky who changed my life forever. 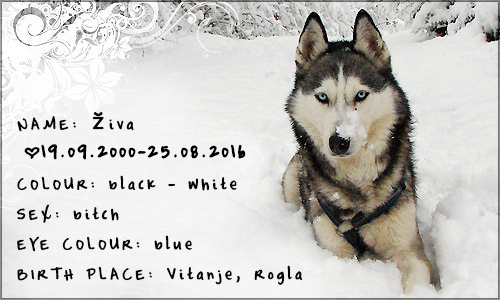 I got my first dog and I called her Živa – which means ”Lively”. She got just the right name. She was typical character of a Siberian: energetic, lively and happy. She was very stubborn, wild, with very strong animal predator instinct, had mind of her own… Which was quite a hard mission for a first dog. She had drove me crazy so many times… But on the other side she taught me so much about life. A mighty spirit of wolves inside of her taught me everything I needed to know about life. Every day when I came home from school ther was our time for long walks and running in the woods. We ran for 10 kilometers or even more and we were in our own world of free spirits. © 2018 Maja Rokavec | PhoeBEfree|ProPhoto4 WordPress Theme by NetRivet, Inc.